Payoneer is a global online payment service provider for cost effect payment in more than 200 countries worldwide which provides international wire transfers, online payments, and prepaid master card service for freelancers, publishers and online affiliates. It provides own US and UK virtual checking bank account where you can directly receive payments from world wide and you will not need to convert money on your local bank account in local currency or can withdraw cash form any ATM or POS worldwide with taking lowest fees. If you are online freelancer and delivering different services through online freelancing sites like upwork, guru, freelancer, fiverr, people per hour, 99designs etc. can receive your earnings through payoneer account. A single account works for all sites to receive the payment, once you have registered can connect all of them on your payoneer account. 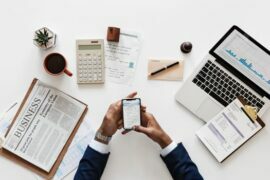 Publishers of any blog or website, online affiliates and other online marketers can also be benefited with receiving payments from mass payout companies or requesting for payment personally. Following of your trusted freelancing company, online publishing networks and affiliate networks along with other thousands of company and services accepts payments from payoneer. You will get the following main features and benefits of while using Payoneer as your online payment processor service. You will get easy to use and reliable payment system for getting payments from the US and EU company. There is no bank accounts needed, you wiill get your own US and UK virtual checking bank account. You will get payments from different ad networks and affiliate networks easily. It automatically converts to another currency while shopping or withdrawing from your local bank or ATM. You can send and receive payment globally with low monthly fee. It also allows transaction between payoneer accounts with a free of charge. You don’t need to convert your currency, you will get money on your local bank account in local currency automatically. You will get payoneer prepaid mastercard to withdraw cash from any ATM worldwide. There are different apps for android and apple to check account balance. You can load money from local bank to payoneer account. There are different payment options are available i.e. deposit to local bank account, master card and wire transfer etc. You can verify paypal, skrill and payza account with payoneer prepaid mastercard. Payoneer provides complete online payment processing service with providing different services like global, payment service, prepaid master card, local bank withdraw, mass payout service, global bank transfer, billing service and transaction between payoneer accounts. in the US, SEPA transfers in the EU and BACS transfers in the UK. significantly reduce the cost of getting paid and avoid delays. currencies with fulfilling their cross-border payment needs. international wire transfers, and local bank transfers. You can send payment request and receive to your payoneer account safely and securely using your payoneer virtual bank account and your prepaid master card. You can request for payment even the customers or company are not using payoneer service. 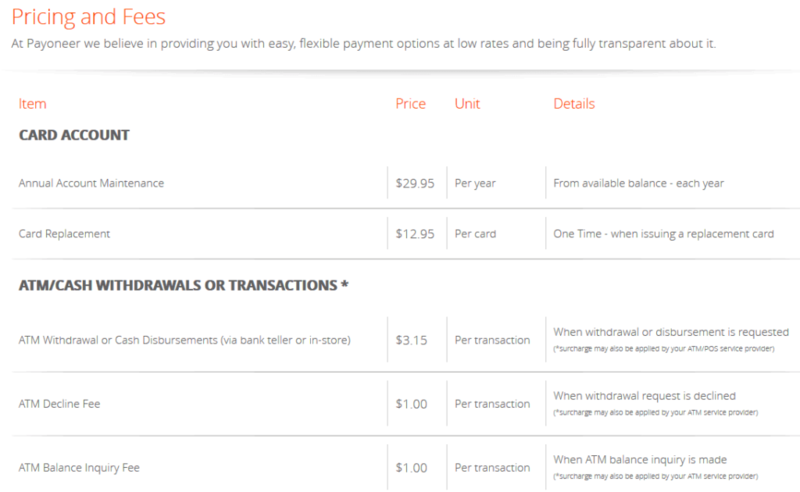 Payoneer takes account maintenance fee monthly or annually, ATM withdrawal, balance inquiry and decline fee as given on the screenshot below. 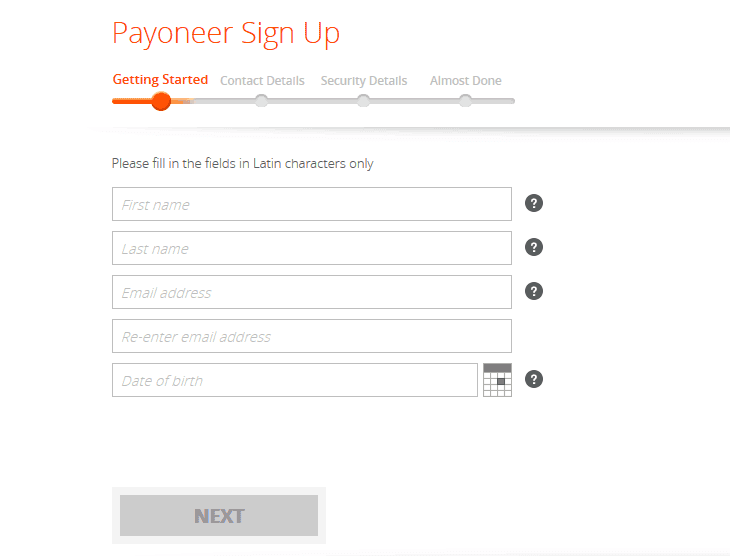 Use the following steps in order to apply and get prepaid master card from payoneer. Click on the sign up button and fill out the following form. After the account is approved, you will get the master card 2-3 weeks arrived on your address. Activate the card from your payoneer account. 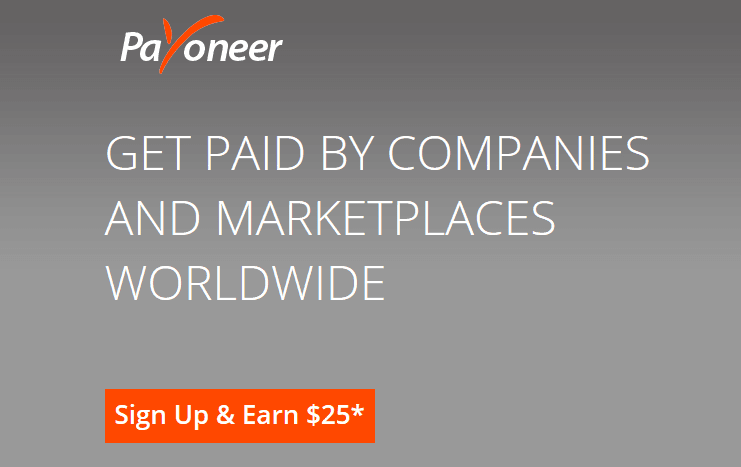 You will get $25 bonus from payoneer, if you registered from the following link and first time loaded $100 on your account.